Find the boat parts and accessories you need in Trim-Lok’s collection of window seals, rubber trim seals, and clips. Are you looking for the right waterproof and pressure-proof boat stationary window seal? Our EPDM locking gaskets are designed to resist severe weather, sunlight, pressure, and aging. 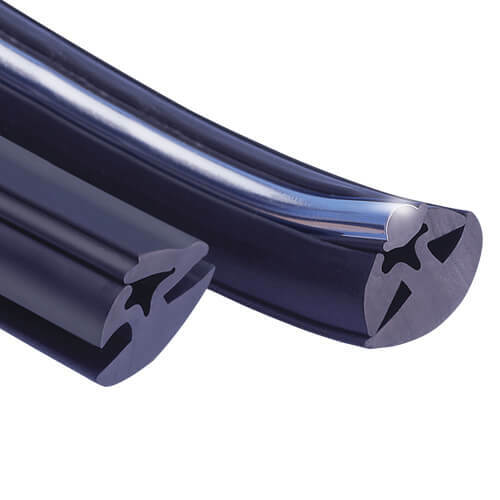 Weather strip and protect your boat from rain, wind, cold or heat—and give it a finished look using Trim-Lok’s PVC plastic trim with attached EPDM sponge rubber tubing. Explore custom rubber trim seals, ideal for boat hatch seals and boat trim molding. Are you looking for a more secure grip for your boat console molding? Our Rubber-Lok metal clips feature black PVC plastic that simulates the look and feel of rubber, and individual internal metal clips retain the permanent grip you need. Are there any handles or bars on your boat you’d like to ensure a firm grip on? Explore our replaceable grip wrap and tape to prevent slips.